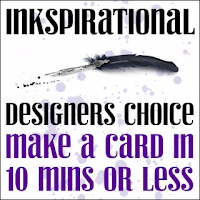 When I saw the challenge at Inkspirational, make a card in 10 minutes or less, I almost said forget it. I am the worlds slowest stamper! 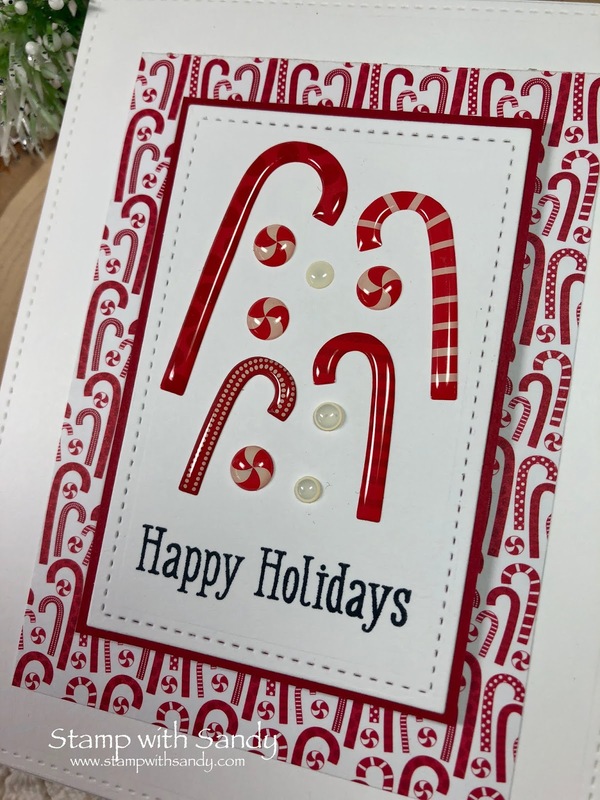 But then I saw the challenge at Christmas Card Throwdown, to use stickers, and I thought there was hope. I almost never use stickers, but yet have quite a few of them as a result of card kits. So I decided to give it a whirl and use some of those bad boys up, and succeeded in making my card in 8 minutes 34 seconds. That is a world record for me! Sandy... love your sticker card! Wow, that's quick! 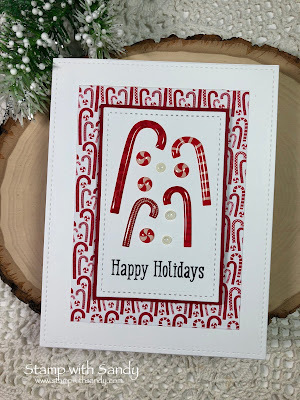 Hubby once challenged me to make a card in an hour and I struggled! 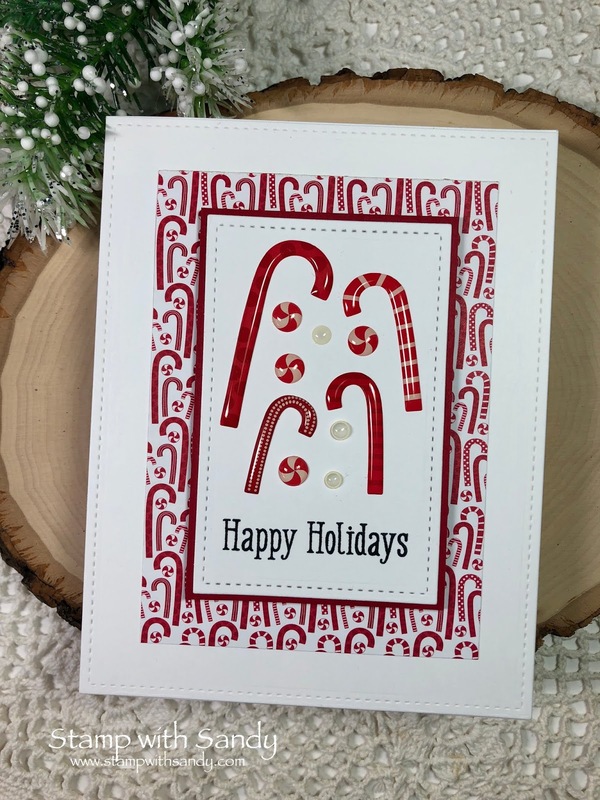 You've done a grand job here, the candy canes are lovely and the topper and background tie together beautifully. And you've reduced your stash a little. Thanks for joining in with the 52CCT. This is delightful! I LOVE anything pepperminty! And I have tons of stickers too...hmmm, maybe I should try this as well! 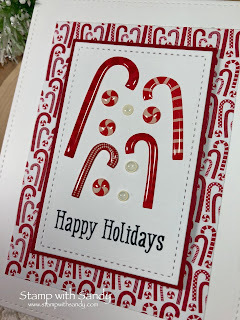 Candy-cane sensational and festive fabulous! Those stickers are positive yummy! 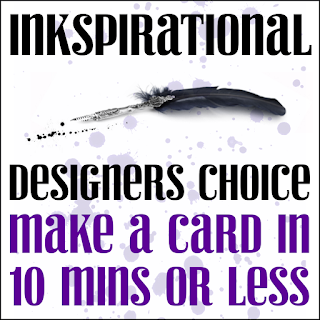 Thrilled you shared this gem in the Inkspirational gallery!